ALINA is an aluminium cutter from Jongert’s modern line, with great appeal for the cruising sailor who also values a bit of sporty performance. Designed and constructed to withstand all types of sea and weather conditions, she nevertheless performs well in light airs. ALINA has already completed a circumnavigation. The elegance of her external lines are carried through into the interior which is furnished in fine leathers and finished in superb hand-crafted teak, which together give an air of distinction and cosiness. The bright and friendly saloon has a large dining table for up to eight people and an area forward which is reserved for communications, TV, video and other entertainment equipment. Stairs connect the saloon directly to the open galley, which is on a lower level. 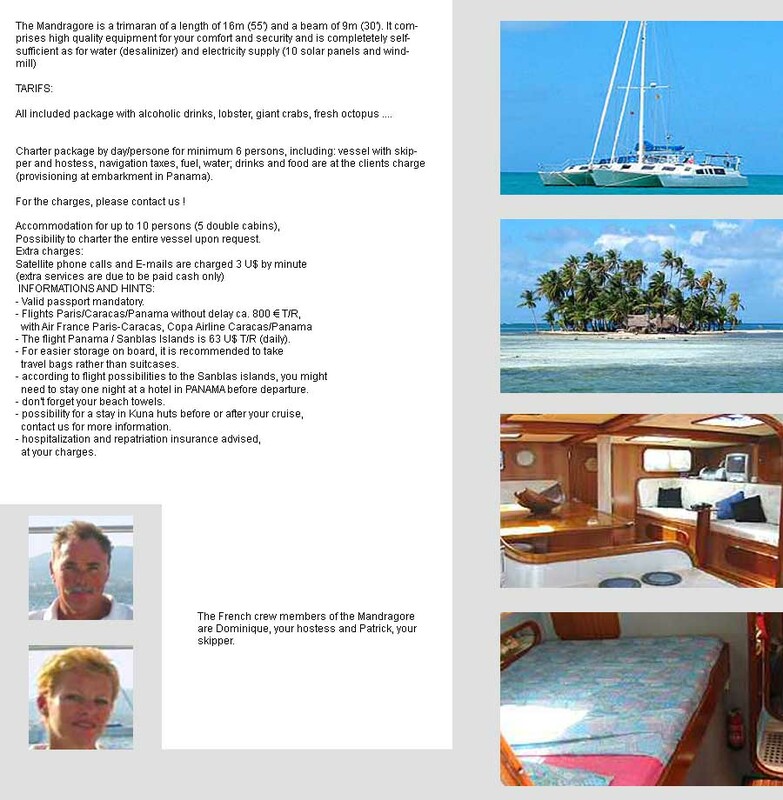 The stylish owner’s cabin in the stern is laid out with a double bed, fitted with lee cloths for comfort at sea. There are ample clothes lockers and stowage space and a spacious bathroom with a separate shower and all the other traditional Jongert comforts. Two guest cabins with their own showers and heads forward of the saloon afford ample accommodation for four guests, in individual berths, the lower of which may be converted to doubles. In this configuration the upper berths may be folded away for additional comfort. A fourth cabin in the forepeak is for the crew. On deck a semi-enclosed cockpit amidships gives shelter for the navigator and instruments as well as providing a second steering and command position. 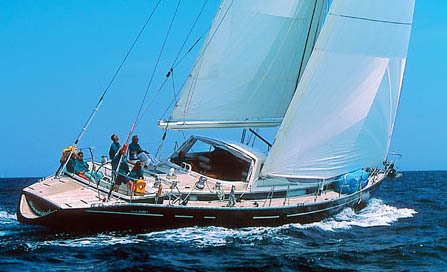 All sailing tasks can be handled from the after cockpit which has wheel steering linked directly to the rudder for maximum feel and sensitivity, enhancing the joy of helming a performance sailing yacht. As in all Jongerts the engine room is customised to the owner’s requirements, with easy access for all servicing and maintenance and a workbench with standing headroom. ALINA is a modern, fast sailing yacht exhibiting all the traditional Jongert hallmarks of fine craftsmanship, comfort and safety. As far as my background, I have been sailing since the age of 13 out of my home port of Arcachon in the bay of Biscay and began my professionnal career in the French Riviera in 1973; got my first skipper position in 1975 on a gorgeous S&S wooden yawl and have cruised on many different boats (only one powerboat!) in the Us, both coasts, down to Hawaii , Tahiti, Costa Rica and Panama and on my own sailing 30 foot sloop in the Med, West Africa, Brazil and a lot of the Caribbean which i know like the back of my hand! Many years with the bare boat companies! This is going to be my 13th atlantic crossing and still looking forward to it!